We all want answers but are we asking ourselves the right questions? 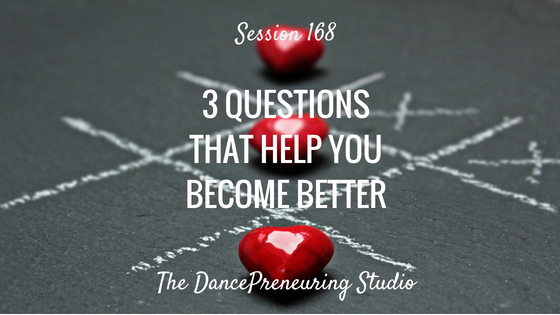 Whether you are seeking clarity in dance, life or business, these three questions that I recommend you consider. They will guide you to answers and help you become better. Freestyle Flow: Etiquette in dance classes can make or break a satisfying experience. 1. Do you believe in who you are and what you’re doing or are you comparing yourself to others? 2. Are you enduring or embracing your experiences? Going through the motions as opposed to allowing yourself to experience all emotions involved in creating can make a huge difference. 3. Are you connected or attached? Connection has to do with the moment. Attachment can lead to disappointment because it’s conditional. Instead of a to-do list, you need a success list-a list that is created around extraordinary results.